CSS Grid is the new trend in web design. After the modern browsers have been supporting this set of different CSS attributes for a while now, it is time to look into it. “CSS Grid Garden” helps you with that. 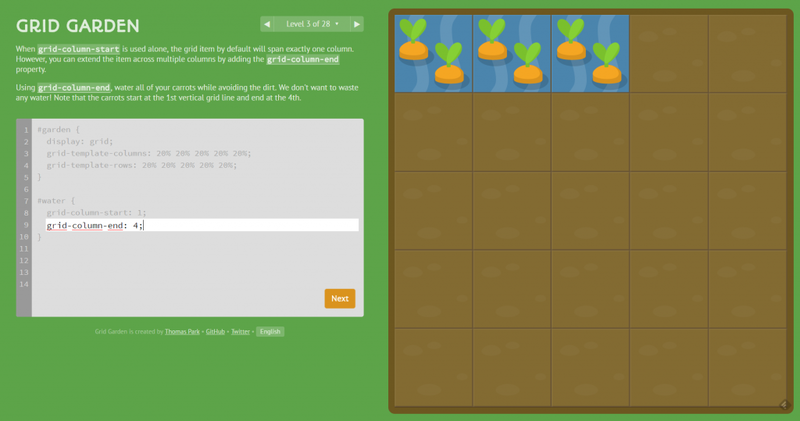 CSS Grid Garden is an online game from the digital quill of Thomas Park. 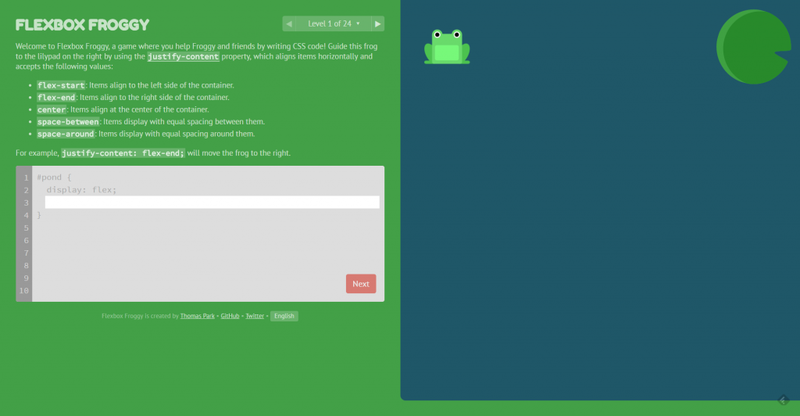 Park is well known in developer circles, not least because of his game Flexbox Froggy. That one taught us the basic knowledge for using CSS Flexbox. In “CSS Grid Garden,” Park deals with the attribute package of the CSS Grid. Of course, you can’t expect to be the CSS Grid Zen master, just because you made it through the game. 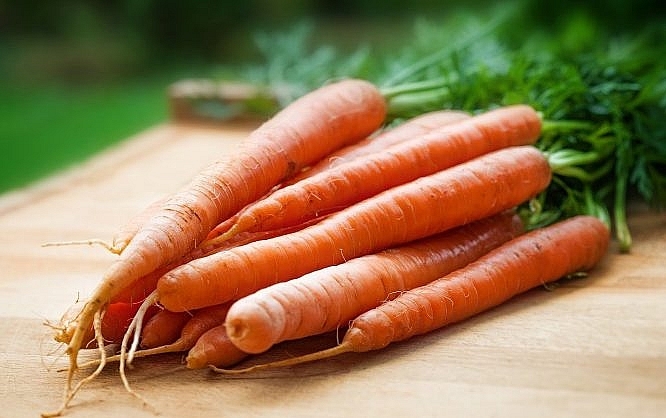 But the grid garden is a perfect choice for getting started. You won’t even notice that you’re learning something. Park leads you through 28 levels, in which you have to take care of a garden in different ways. First, you have to water single specific plants in a grid, using water that is located in another spot on the grid. “CSS Grid Garden” is available in English, Spanish, Polish, Russian, French, and Portuguese. Park provides the game via Github, under the MIT license, allowing you to add translations if you wanted to. Park is always working on new levels. After all, the game is still missing some aspects of the CSS Grid concept. In this article, Park gives a more detailed explanation of his approach. If you didn’t look into CSS Grid yet, the online game “CSS Grid Garden” is the perfect entry. You’ll even learn to assess the differences to Flexbox accurately. This aspect still seems to cause a lot of confusion in developer circles.